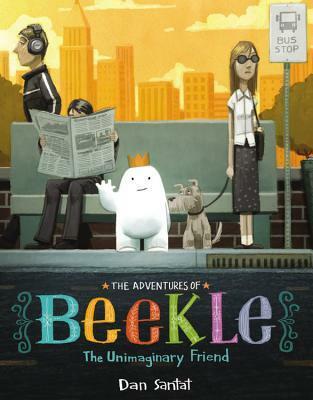 The Adventures of Beekle: The Unimaginary Friend | What is ML Reading? This entry was posted in Picture Book and tagged Dan Santat, The Adventures of Beekle: The Unimaginary Friend by mlreads. Bookmark the permalink. I don’t remember having an imaginary friend but my oldest had one for a year or two. Belle. She was the Disney princess Belle but she was a little girl and she had lemurs for pets. I didn’t even know my daughter knew what lemurs were until she started talking about Belle’s lemurs one day! 🙂 At seven we don’t hear about her anymore but she was involved in everything for quite awhile! Pingback: Mock Caldecott 2015 | What is ML Reading? Pingback: 2015 Caldecott Winners… According to ML and Calvin | What is ML Reading? Pingback: My Caldecott Awards & Where I Plan to Be In 2017 | What is ML Reading? Pingback: Superb Job by 2015 Caldecott Committee | What is ML Reading?